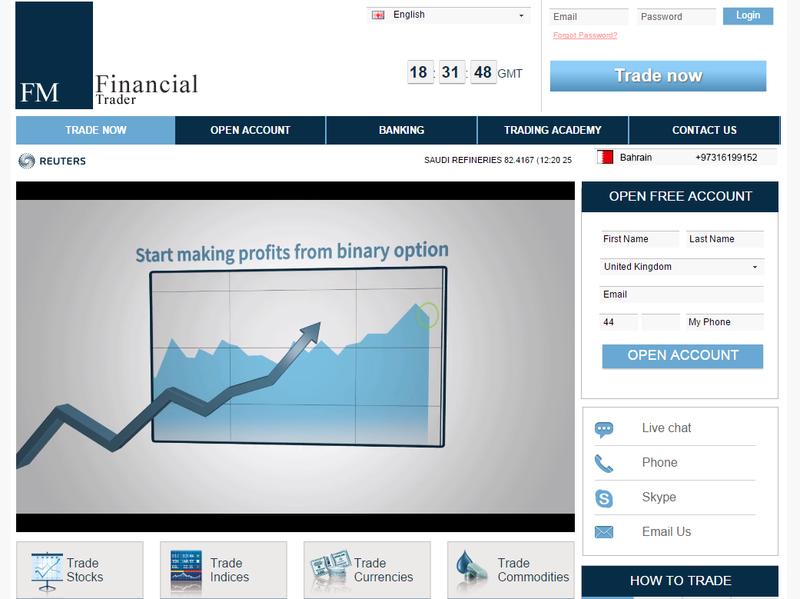 FMTrader is a privately held investment firm who offers to the public a binary option trading platform. Binary options, also known as digital options or fixed return options, are becoming more and more popular all over the world. Investors highly consider binary options during periods of market instability. Known-in-advance return, there is a wide range of expiry time points as well as no liquidity or execution issues are significant advantages of binary options FMTrader trading platform can be used for private and institutional investors worldwide. 2. No requirement of software downloads. Our platform’s pricing and execution modules brought a new era in the online trading market. The use of the most up to date and advanced technologies allow us to ensure your safety, convenience and satisfaction.Trading is available at any time as far as the chosen asset is being traded in the relevant market. We receive accurate data streams from our data provider, Thomson Reuters. It is strongly recommended to go through our terms and conditions, Familiarize yourself and become fully aware of the difference between the real time market price – according to which our options expire, and the level we offer options.